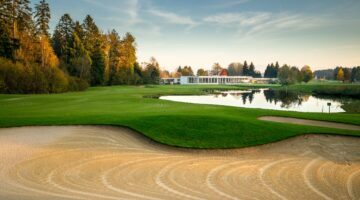 The 9-hole Dolder course, known for its high standards of maintenance, is set on the southern slope of Adlisberg, with breathtaking views of the city of Zurich. Mature trees frame the course, creating a special ambience all of its own. Although rather short, the course is nevertheless challenging, thanks to its numerous bunkers and slopes. Terraced greens present an additional level of difficulty. 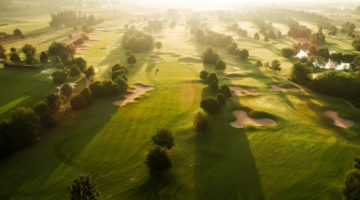 Precise, focused play leads to success, and if that’s your game, play a round of golf here and experience the high quality of Dolder Golf Club Zürich for yourself. Pre-registration, ASG-card and Handicap 30 or less are required. 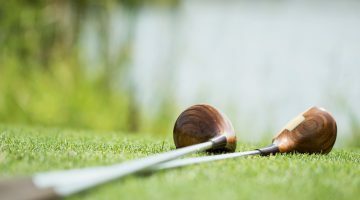 ASGI and Golf Card Migros-Members, members of associations of club free Golfers are only accompanied by a dolder golf club member allowed. Monday, Thursday and Friday guests are welcome to reserve a tee time before 2 p.m. Please phone the office one day in advance. Weekends and holidays members and member’s guests only.